As a physician leader with more than 20 years of experience, Alison Tothy, MD is dedicated to driving transformational change to align patient experience and care team engagement with organizational missions, visions, and strategies. With a focus on reconnecting people to what matters most to them, she is a forward thinking innovator dedicated to constructing an engaging and collaborative culture that builds organizational growth, employee and physician engagement, and customer loyalty. Dr. Tothy has expertise in hospital leadership, strategic planning, and clinical operations. Currently, Dr. Tothy is a physician faculty member of Practicing Excellence, a physician mentor at Matter, and a board member of both the Beryl Institute and the Institute for Innovation. Within the University of Chicago, she is a senior faculty member of the Institute for Healthcare Delivery Science and the Bucksbaum Institute for Clinical Excellence. 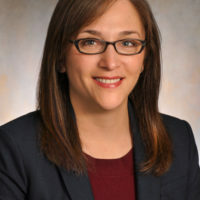 Throughout her career, Dr. Tothy has practiced Pediatric Emergency Medicine Physician and is an Associate Professor of Pediatrics at the University of Chicago. Dr. Tothy has held many leadership roles in hospital administration. She was the Chief Experience and Engagement Officer for the University of Chicago Medicine, responsible for leading efforts to optimize patient experience and engagement across the medical system. Prior to this role, Dr. Tothy held leadership roles as the Associate Chief Medical Officer for the University of Chicago as well as the Section Chief for the Section of Pediatric Emergency Medicine and the Medical Director of the Pediatric Emergency Department. Dr. Tothy has extensive leadership training including certificates in Lean Healthcare, Team STEPPS, the Chicago Management Institute at the University of Chicago Booth School of Business, and Patient Experience Leadership from the Beryl Institute. She is a Certified Patient Experience Professional and is a recognized national speaker on the topics of patient experience and engagement and Physician engagement. Dr. Tothy received her B.A. from Brandeis University and her M.D. from Mount Sinai School of Medicine. Dr. Tothy completed a residency in Pediatrics and a fellowship in Pediatric Emergency Medicine at Children’s Memorial Hospital through the Feinberg School of Medicine at Northwestern University.